Activated Alumina is a commonly used desiccant, which is employed for the effective drying of gases and liquids. In the petroleum and natural gas industry, efficient processing, storage and movement of fluids is very crucial. For this to take place smoothly, all the water present in the gas needs to be completely removed. 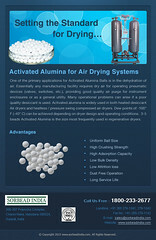 More and more companies are now turning to activated alumina for drying compressed air. A permeable form of aluminum oxide, Activated Alumina desiccant is characterised by its high surface area. This allows for the smooth adsorption of liquids and gases without bringing about any change to its original form. Some other properties of activated alumina (which can explain its huge demand) are that it shows resistance to thermal stock and abrasion and does not change shape when in contact with water. When submerged in water, the activated alumina desiccant does not shrink, expand, soften or disintegrate. 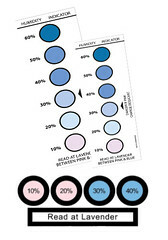 This property makes its highly popular in the petroleum and natural gas industry. 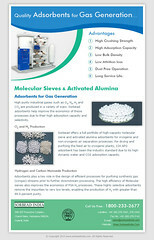 The activated alumina desiccant makes use of the process of adsorption to purify natural gases and liquids. As the gas passes through the alumina, the water present in it will stick to the alumina filter. Once all the water molecules are captured, the air becomes dry as it moves out of the filter. The desiccant can be used again and again as it is regenerated by heating the activated alumina. The heat will help release all the water that had been adsorbed earlier. Available mostly in the shape of balls of 2-5, 3-6 and 5-8 mm, activated alumina finds use across various industries. 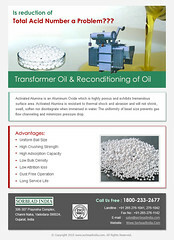 Other than the drying of gases and liquids, it is used for the removal of oil vapours from gases. 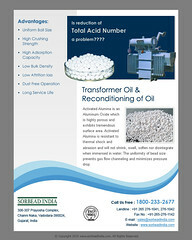 It can also be utilized for the removal of acidic materials from organic streams and inorganic gases. 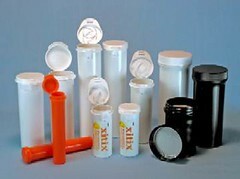 Additionally, the activated alumina desiccant finds use in the refrigeration industry for the safe transit of electronic goods, pharma and food products. Activated alumina works as fire retardant fillers and also as catalysts for bed carriers. The gases and liquids filtered by activated alumina include LPG, propylene, butene, gasoline, aromatic solvents, steam cracked liquids, steam cracked gases, synthesis gas and natural gas among others.